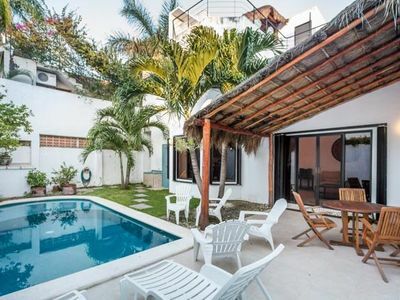 At Hacienda Costa Azul, escape and embrace the panoramic sapphire ocean view and sweet ocean breeze, of this elegant, private, and wonderful 3200 square foot home. 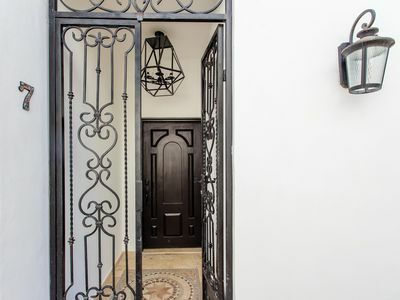 This Spanish Colonial Hacienda, is located in an exclusive gated community minutes from San Jose del Cabo. 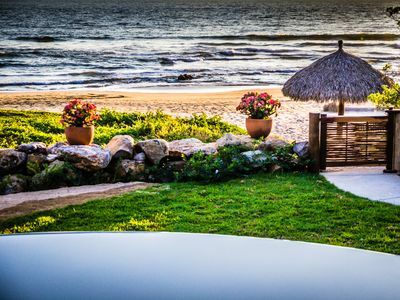 Gazing out to the cobalt blue Sea of Cortez from every room is reality. 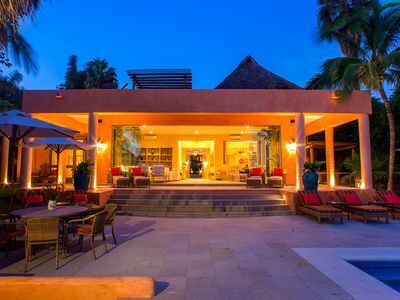 This Boutique style Hacienda allows for indoor and outdoor living at its best. 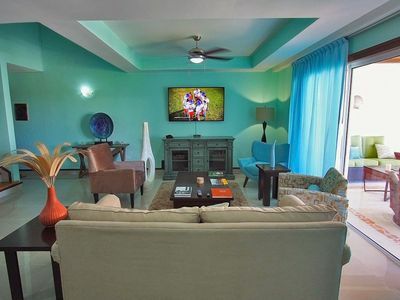 Impeccably furnished, all four bedrooms surround the pool and are self contained King Master Suites, with separate entrance, private bath, and individual remote controlled air conditioning unit. 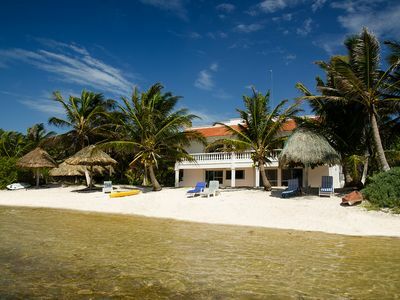 The main house and all bedrooms have satellite TV. Wireless broadband internet and free telephone to USA & Canada as well as a local phone are in place for your convenience. 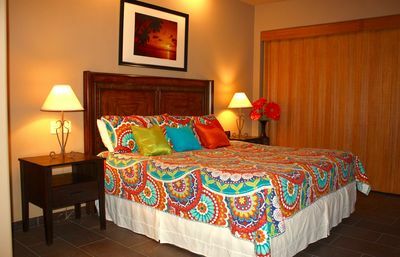 The entire Hacienda water system is filtered and treated for purity including the pool, all baths, and kitchen. 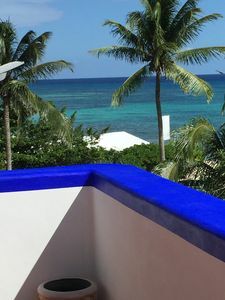 Step out of your bedroom to the private Hacienda living area, including the veranda with music, mosaic tile pool and waterfall. 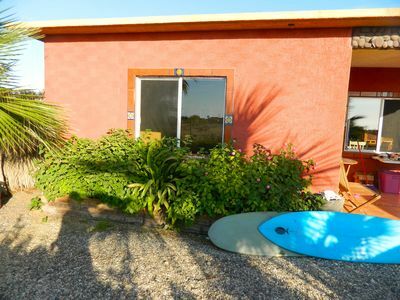 Entering the main house, discover the full granite kitchen with upgraded stainless steel appliances, dining room, living room with flat screen TV, laundry, and half bath. Spiral upstairs to awesome views from the Master View Suite with King bed, full private bath, sitting area with TV, and additional deluxe fold out Queen sofa. 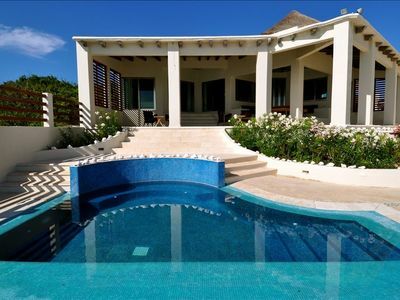 Outdoor Palapa with kitchen facilities including bar, sink and gas grill available poolside. Great for fireworks viewing every Tuesday night. 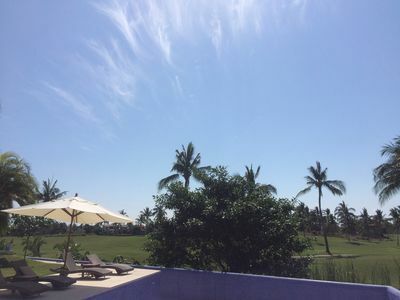 This beautiful, newly remodeled home is just 5 minutes from the One and Only Palmilla Hotel, with it's World Class 27 hole Jack Nicklaus course and their new shopping area of Las Tiendas. 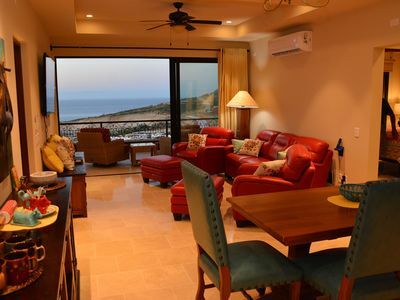 The Costa Azul energy is contagious, with it's world class surfing, eateries, and shopping, just a short 7 minute walk. 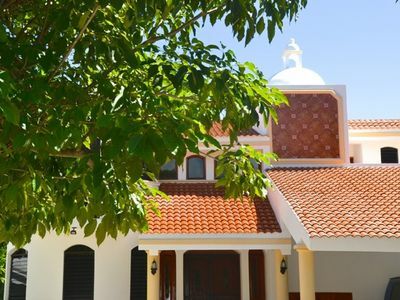 Take a 5 minute drive, bus or taxi to the authentic, quaint, provincial town of San Jose Del Cabo, with its pastel cottages and flowering trees, lining the narrow streets. 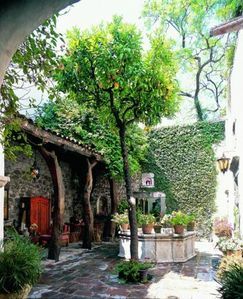 While maintaining it's colonial style, San Jose is becoming sophisticated, with it's collection of cafes and art galleries, mixed in with original authentic shops and unique dining experiences. 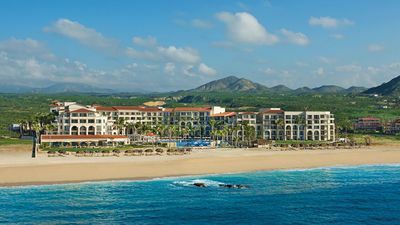 The beauty of Cabo San Lucas and lands end is a short 15 minute drive away. 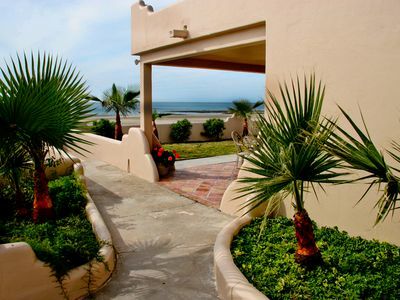 Hacienda house guests may access the beach just 4 blocks away using a sidewalk. 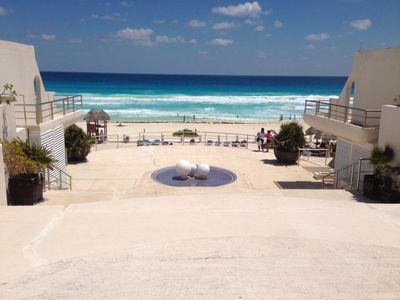 Restaurants and bars are a short 5 minute walk. Maid & Cook, Child Care, Chef, and Airport transfer service available on request. 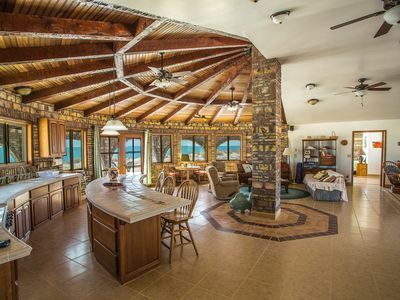 Note: This is one of the few homes in La Jolla with ocean views from the private pool and ground level. 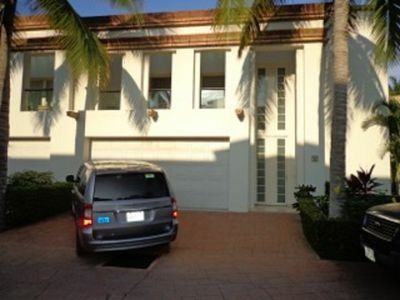 Property contains modifications to comply with US safety standards including but not limited to smoke detectors, pool safety drains, child safe electrical outlets, GFI circuits, pool safety systems to restrict child access if desired and garage door safety system. 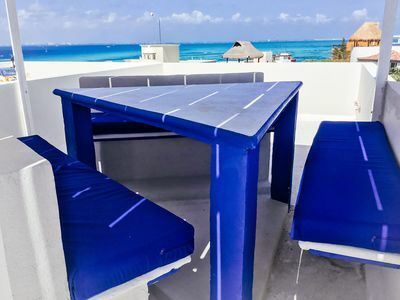 Short term and Long term rental available. 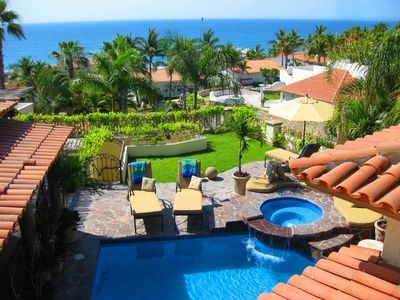 Beach front Condo Two Bedroom available 4 blocks down the hill to complement the Hacienda. Brokers welcome. Our calendar is up to date.